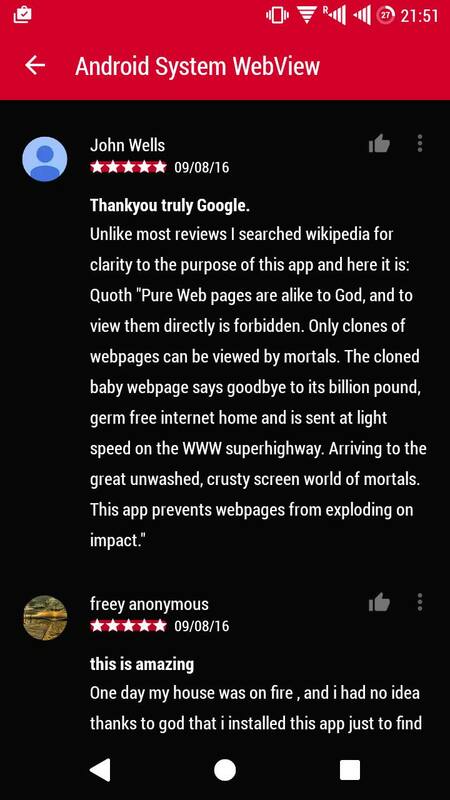 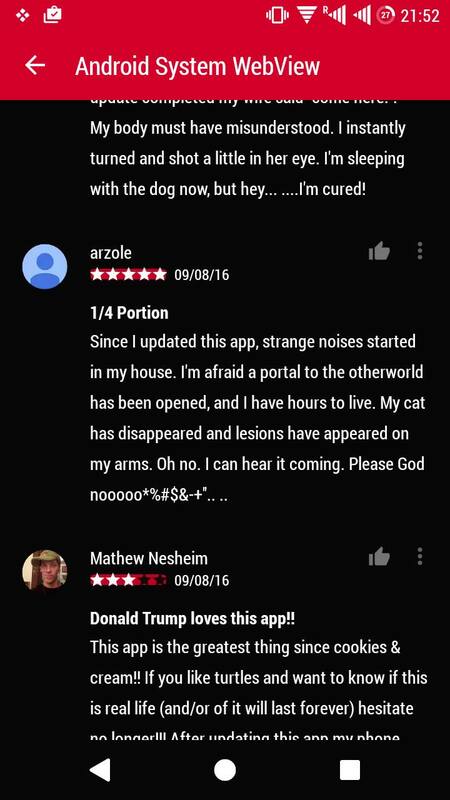 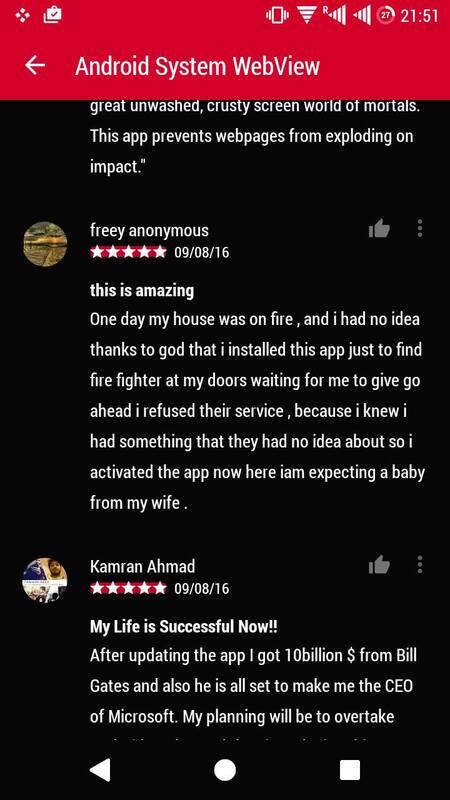 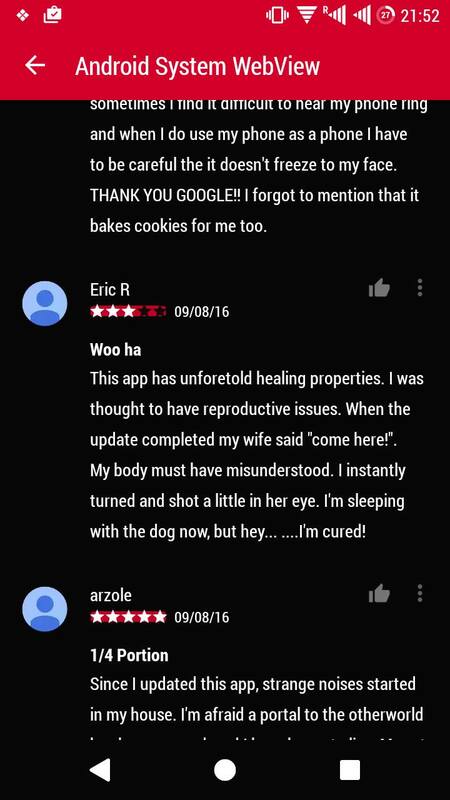 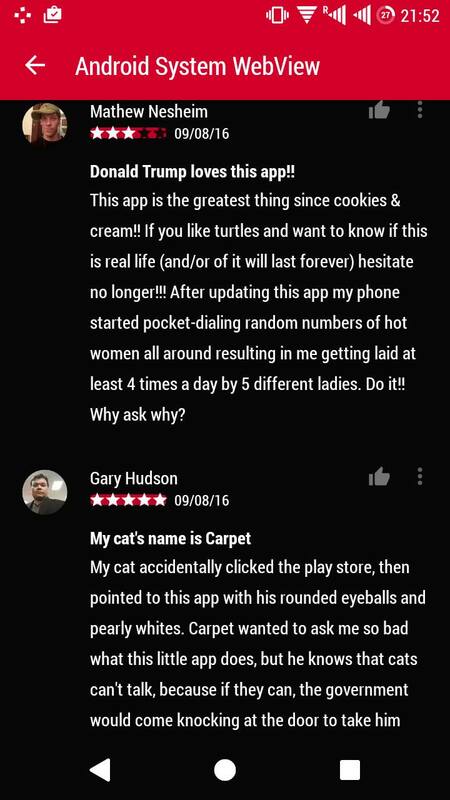 Hilarious reviews of Android Webview on Google Play Store. 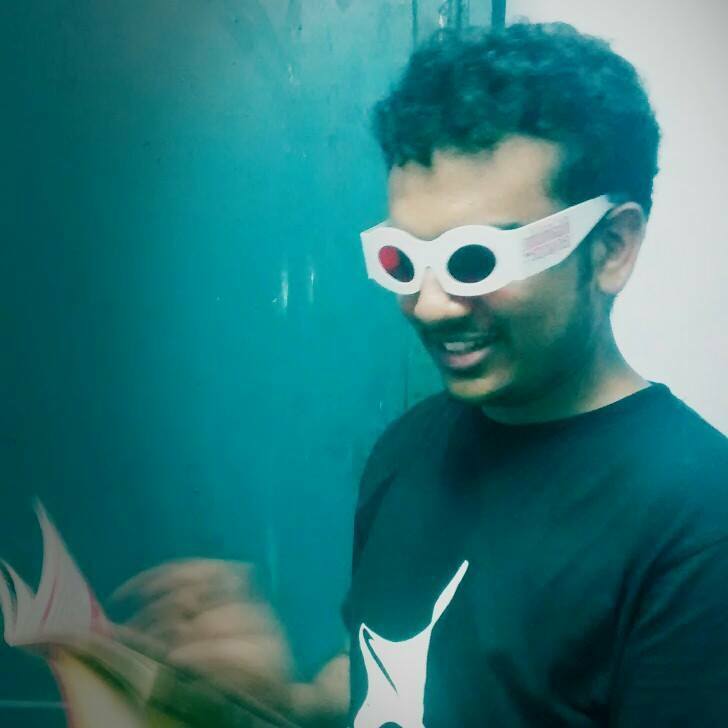 – Hashin Jithu – I write about the world. 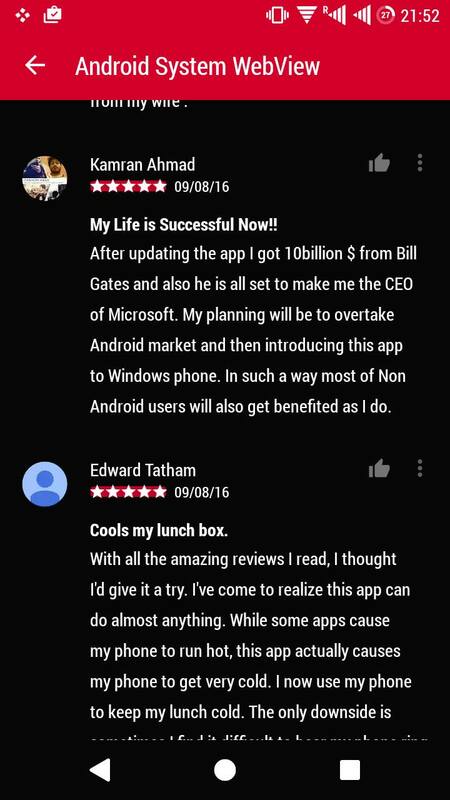 Hilarious reviews of Android Webview on Google Play Store.